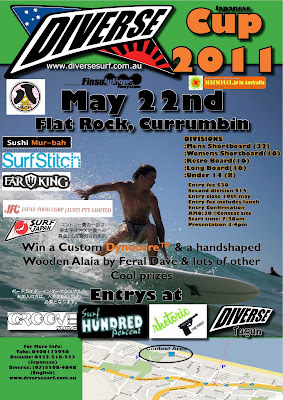 On Sunday May 22 Diverse Surfboards is holding a Japanese surfing contest @ Flat Rock (south Currumbin). In memory of all the people who were killed as a direct result of the recent Japanese earthquake and tsunami, and also the many coastal village dwelling people who were washed away by the tsunami (including many local surfers), we would like everyone to join us in a memorial paddle out. 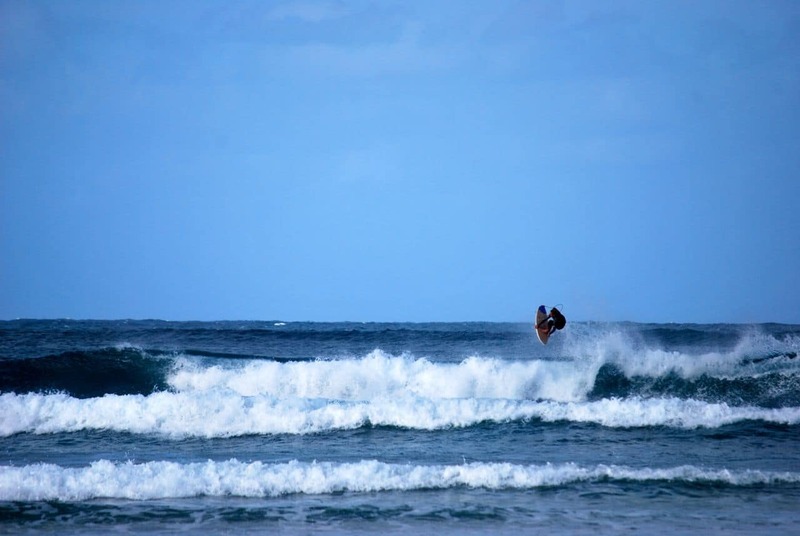 People who don’t surf are also most welcome to join in and participate from the beach. At this time we would like to send to Japan from Australia a special message of health and love to the devastated people who have been affected by these events. In spite of the radiation leaks from nuclear power plants, and the slowness of the Japanese govt to test the water, many surfers are nervously continuing to surf. Greenpeace has requested that the ocean nearby the nuclear power plants be tested but as yet the testing has been either denied or results kept hidden from the public. Also they are aiming to minimise leakage and prevent any further radioactive contamination to the marine environment from damaged nuclear reactors at Fukushima, and to support nationwide implementation of ongoing monitoring of radioactive levels in the ocean. 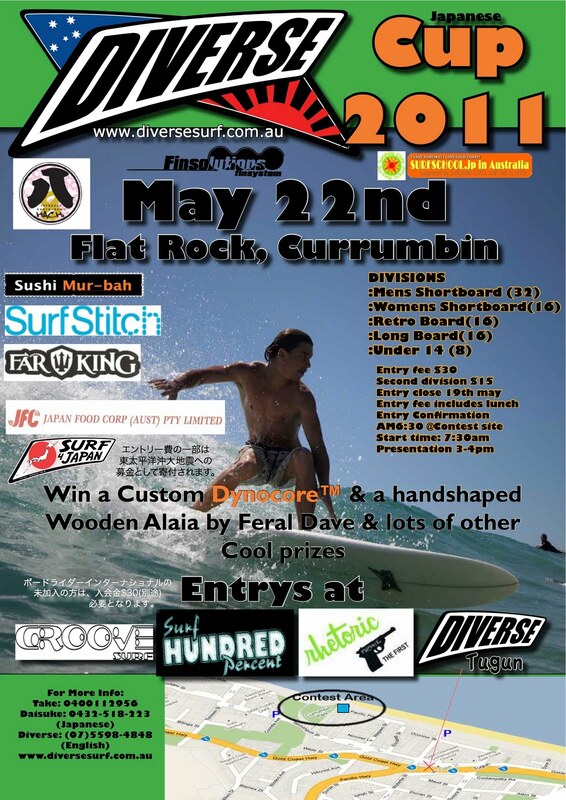 We hope the ocean loving locals of the Gold Coast will get behind this generously supporting this cause.